Yesterday, at 10:08pm IST (UTC+5:30), India’s space agency ISRO launched two commercial small satellites (smallsats) manufactured by UK-based Surrey Satellite Technology Ltd (SSTL). 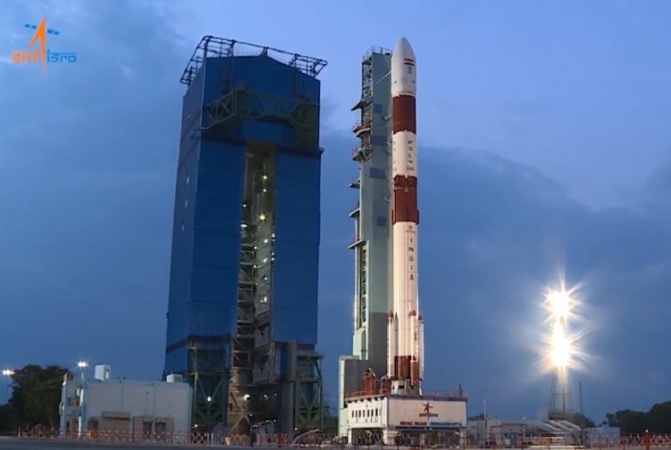 The launch took place from ISRO’s only orbital launch site, the Satish Dhawan Space Centre at Sriharikota in Southeast India, using India’s workhorse vehicle, the Polar Satellite Launch Vehicle (PSLV). The 44th mission of the PSLV, yesterday’s PSLV-C42 mission saw the vehicle loft the smallsats S1-4 and NovaSAR-1, which together have a liftoff mass of 889kg, into a 583km Sun Synchronous Orbit (SSO). Altogether, the four-stage PSLV’s took 17 min 44.06 second from launch to separation of the satellites, in what ISRO has called a textbook launch. NovaSAR-1, with a liftoff mass of 445kg, is the first Synthetic Aperture Radar (SAR) spacecraft to be manufactured entirely in the UK and is a technology demonstration mission designed to test the capabilities of a new low cost S-Band SAR platform. The satellite is backed by a £21 million investment from the UK Space Agency, and carries an S-Band SAR payload developed by Airbus Defence and Space and an Automatic Identification Receiver supplied by Honeywell Aerospace. The world’s first commercial SAR satellite to be operated at a 10:30 equator crossing time, NovaSAR-1’s capacity will be used by a number of entities including the UK Space Agency, Australia’s Commonwealth Scientific and Industrial Research Organisation (CSIRO), and ISRO. SSTL’s S1-4, with a mass of 444kg, is a sub-one metre optical Earth observation satellite whose imaging capacity has been leased by Chinese company Twenty First Century Aerospace Technology (21AT). The lease was determined through a contract signed in February 2018, which stipulated that SSTL will lease imaging capacity to 21AT for the lifetime of the satellite, designed to be in excess of 7 years.